Most people fail at interviews due to inadequate preparation. 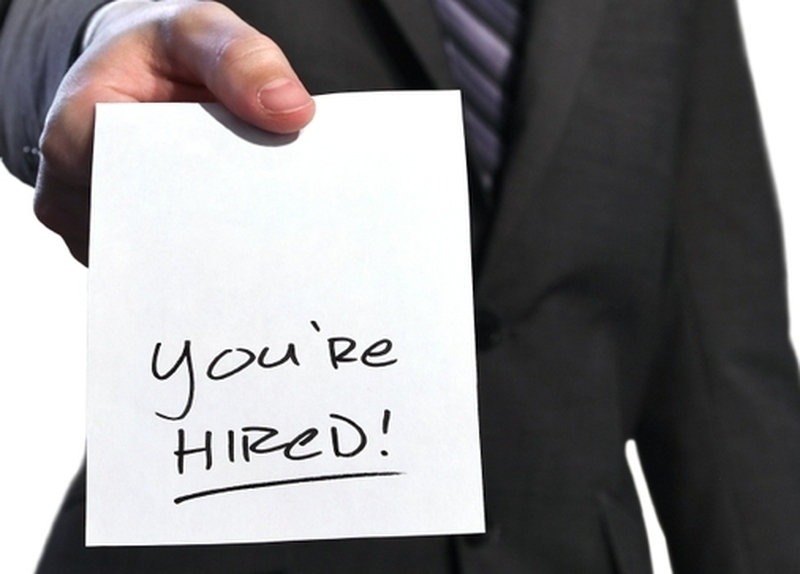 Being a good student in school is not enough to make sure you do well during job interviews. There are loads of materials you can use to get yourself updated on the dos and don'ts in today's job interviews. If you are one of those job seekers who have been searching for relevant information on how to pass an interview, then this article is for you. After reading this, you will know why you have not been able to clinch your dream job. Get relevant information about the position/company: Before you show up for any job interview, it is important you learn everything you can learn about the job opening and the company offering it. Visiting the company's official web page can be a good way to begin. You can also check out their pages on different social networking sites to learn about their work culture and ethics as well as their challenges to enable you know how you can contribute meaningfully to the company's growth. Plan your route ahead of time: Decide on the shortest route and the fastest means of transport that can get you to the interview venue ahead of time. Calculate how long it will take you to get there from your home. Make sure you have the contact details of the company's HR manager. If anything happens on your way to the interview, call the HR manager and let him/her know you will be unavoidably late due to the unforeseen circumstance you are facing. Have some questions handy: This should include possible questions the company might ask you and the questions you would love to ask them. Get all the necessary documents ready: Gather all relevant documents; your CV, project portfolios, reference letter, samples of your previous jobs or achievements, etc. Dress in an appropriate manner: Do not forget the importance of your appearance for the particular vacancy you are interested in. You can ask the company's HR manager about their dress code. This question will prove your willingness to take the right steps towards creating a very good impression. Come on time: Make sure you arrive the company a bit earlier than the fixed time for the interview, but don't come too early so you don't stress yourself and the recruiting manager. There may be other pressing duties for the manager to attend to before the interview. If you have an urgent meeting immediately after the interview, make sure you let the company's human resources manager know about this. Stay calm: Attending a job interview can be quite stressful for some people, if you are one of such people, make sure you are always calm. Avoid showing any sign of fear. If you are asked any question by your recruiter, he/she means no harm, just take a few seconds to think the question over and give your answer with a smile. Listen: Make sure you are attentive while the interviewer is asking you questions. Maintain eye contact. Only start responding when you understand the question you have been asked. Ask the interviewer to repeat the question if it is not clear. Give well-structured answers: When answering questions, try to maintain a unique chronology and make sure you get the substance of every question. Don't jump from one subject to another, and there is no need adding things you forgot to say earlier. Doing any of these will make your answers seem chaotic. This is why it is important to prepare at home before coming. Be confident: It is also important to assess the right way to talk about your major strengths, knowledge and experience. There is no need to over-estimate yourself, just be realistic, but make sure your experiences are highlighted. Most employers love hiring people whose personalities are so strong that they can access their own strengths and qualities. Salary: The issue of the salary you desire will come up in the course of the interview. Make sure you know what the company pays for the position you are applying for so you won't have to guess the numbers. Giving a figure that is far above what the company pays for that position will expose your ignorance about the salary scale. Make sure you request for the job before the interview ends: You can say something like, I want to work for your organization and I could make instant positive impacts in your marketing department. What should be the very next step of the process of the interview? Requesting for the job like this will enable you reinforce your interest in the job. This will also enable you understand additionally requirements for getting the job. You can request to know the number of people the company would invite for the second phase of the interview, if there is any such thing. This will let you know how promising your chances are. Wear blue clothes: The trick about wearing blue clothes is that the interviewer gets an unconscious feeling that you will be a loyal and trustworthy employee. If you drop something by mistake, do not panic: We are all human beings and we all make mistakes sometimes. It is quite common for someone to drop something while talking. In case this happens during the interview, quietly pick up the item and place it back where it fell from without drawing attention to the incident. Giving reasons for the incident is a sign of low self-esteem. Take deep breathes: Take deep breaths whenever you think you would possibly stop breathing normally unconsciously. To become relaxed, breathe deeply to reduce your risks of experiencing increased stress levels due to inadequate oxygen. Read facial expressions and body languages to know the personality of the interviewer: This will enable you to decide the best way to answer his/her questions. For instance, if the interviewer is someone who has no time for details, giving him details will simply annoy him. You may be interrupted by the interviewer: Most interviewers like interrupting the interviewee to see how he/she responds. It is all a ploy to test your communication skills. What would you consider to be your strongest professional skills? What would you say that is your greatest weakness? Where do you see yourself in your chosen profession in the next five years? What is your favorite work environment? Can I see some examples of the type of projects you would want me to work on? What do you think is the greatest challenge that I will face in this position? Does this position offer opportunities for improvement or professional advancement? What do you enjoy most in your line of work? What do you find most exciting about the future of the company? Server responsed at: 04/20/2019 7:14 p.m.